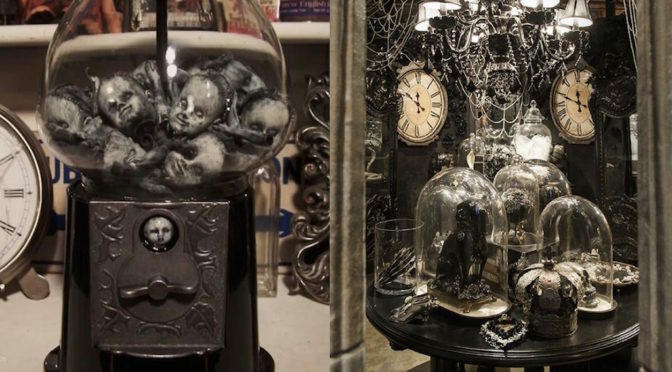 They have that Gothic look.. and just like so many of these decorations…. so, so easy. Simply wrap some black lace around some clear votive holders. I found these over at Family Chic and I’m really excited about them. I have some black tulle I was going to try and use in place of the ribbon and see how that looks. What I love about these is you can use any lace really so you could use them anytime of the year and change up the looks according to the occasion or holiday. I LOVE these! Something else I thought about is if you have some of those fishnet stockings, you could wrap those around clear votive holders as well or even a larger clear candle holder or vase.